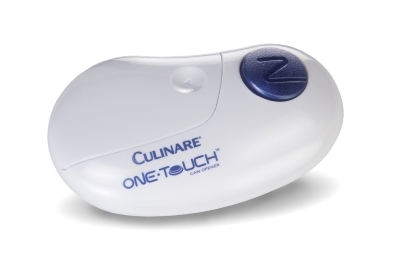 The New and Improved Culinare One Touch Can Opener automatically opens cans at the touch of a button. 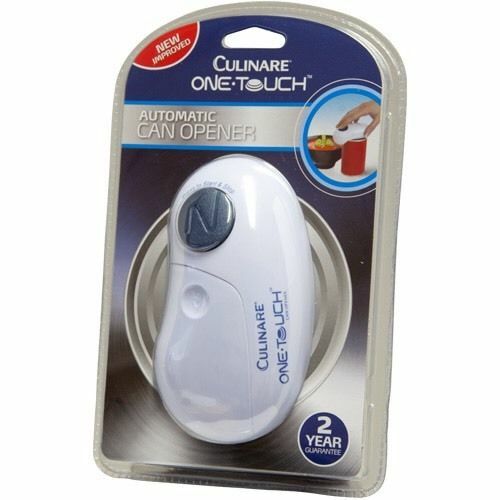 Ideal for those who prefer to make everyday tasks, such as can opening, that little bit easier, simply place the can opener onto the top of the can, press the button to start opening and then press the button to stop. This entry was posted in Kitchen Featured, Special Offers & Featured Products and tagged can opener.